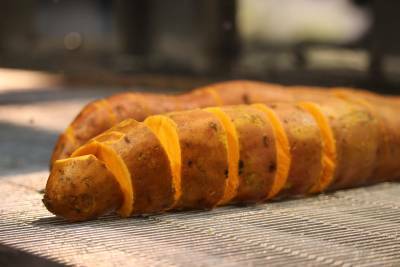 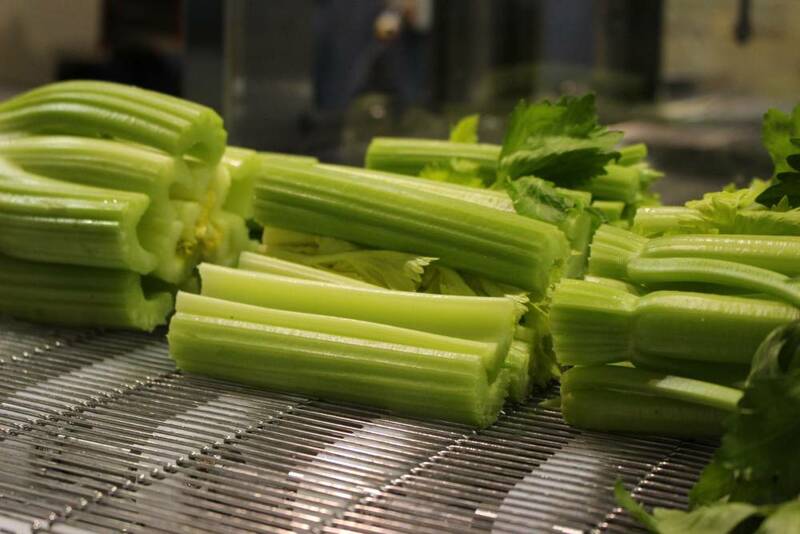 Waterjet cutting of food products has advanced considerably over the last decade and today this technology is rapidly increasing in popularity as food processors prove the benefits afforded by current waterjet technology. 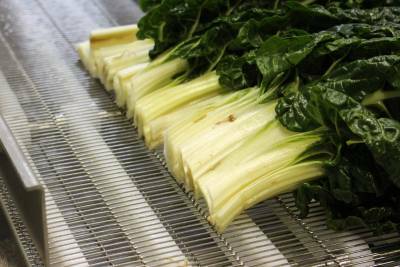 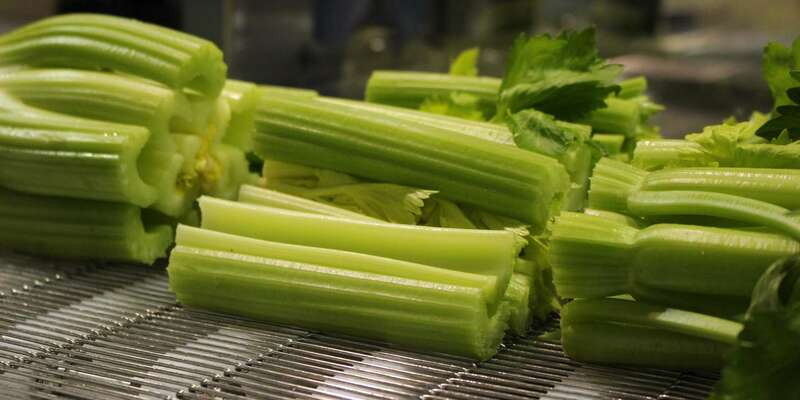 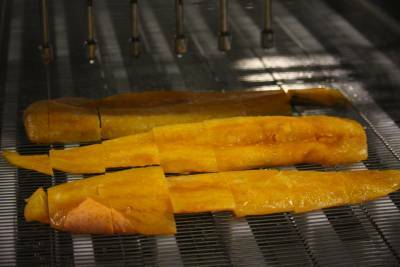 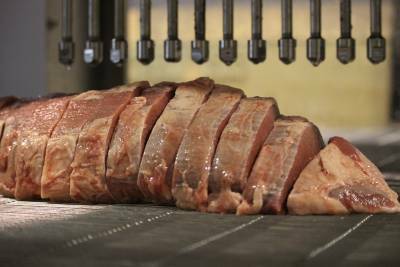 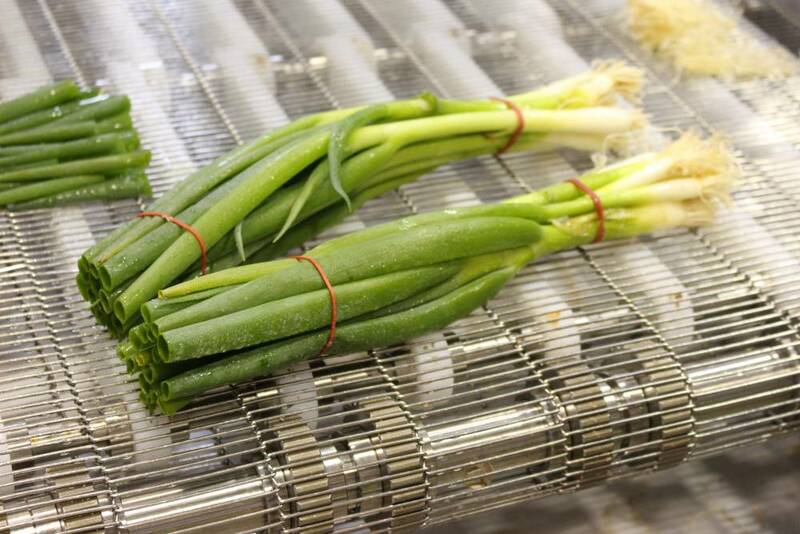 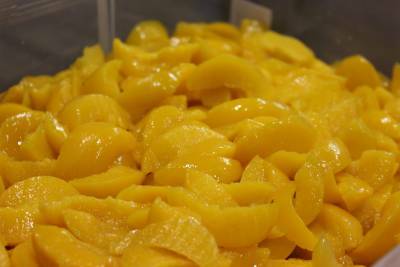 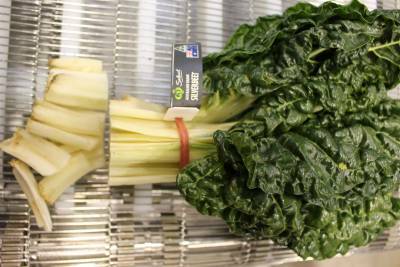 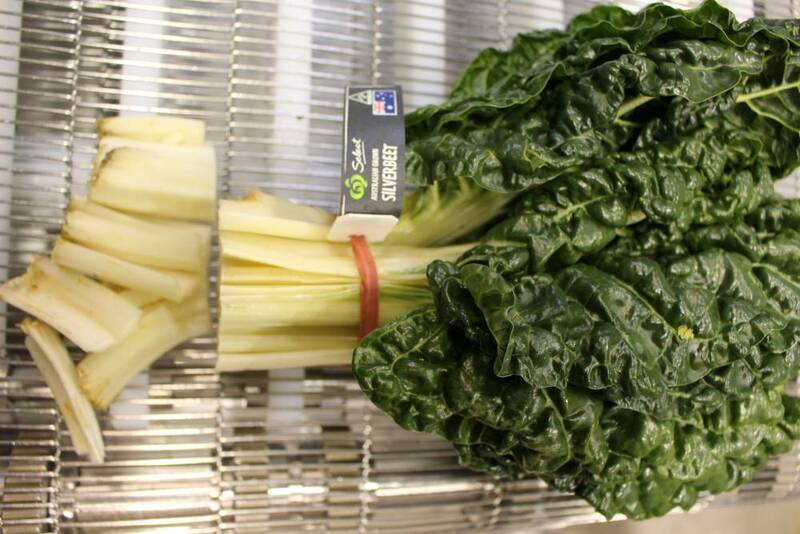 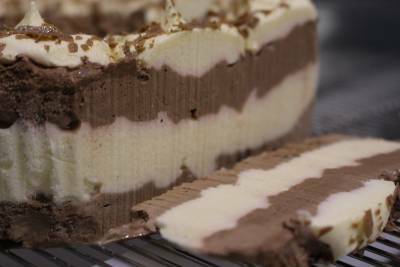 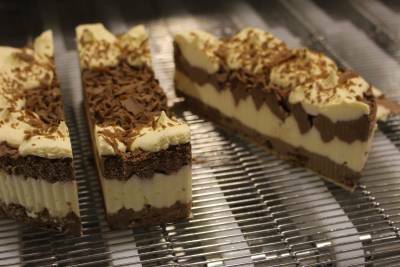 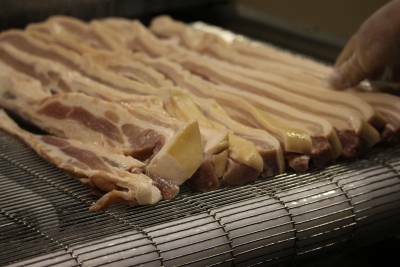 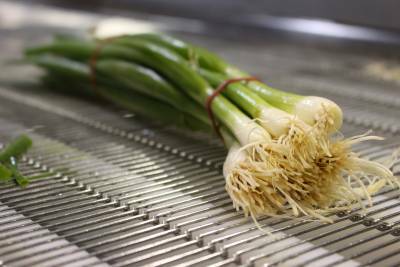 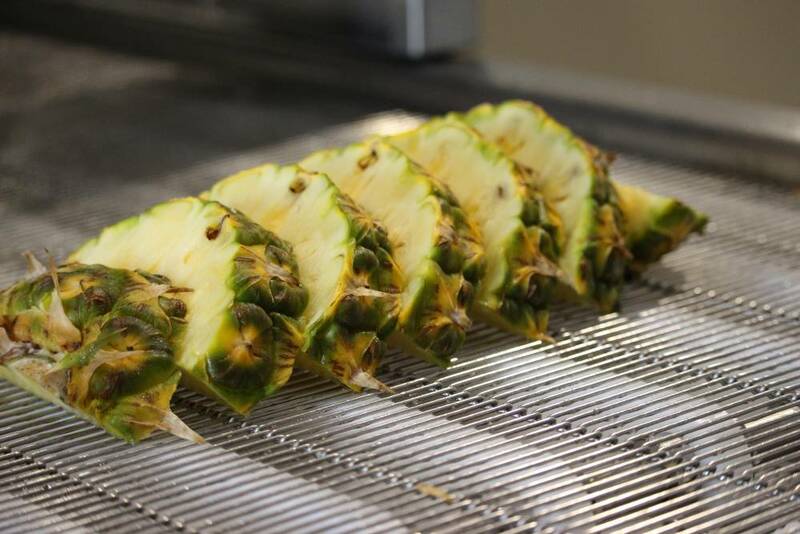 What are the benefits of waterjet cutting in food processing? 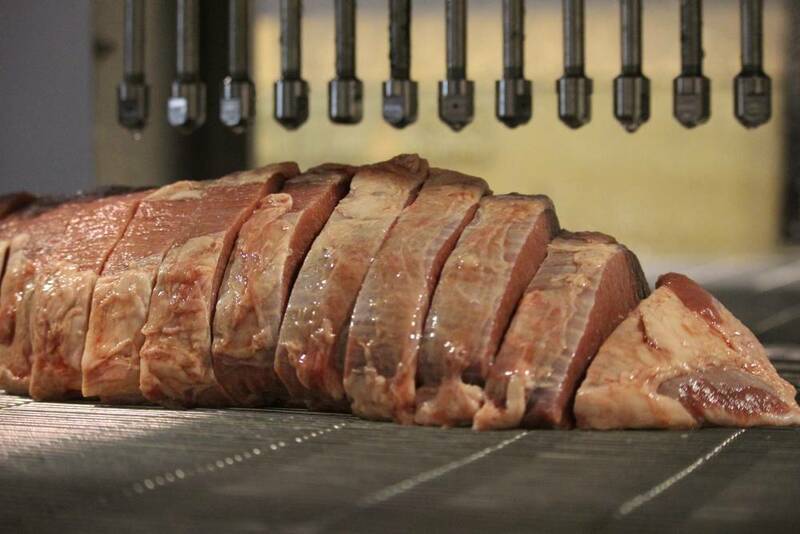 Waterjet food cutting machines improve every major area of food processing from increased sanitation through less human contact to boost in speed and cutting consistency. 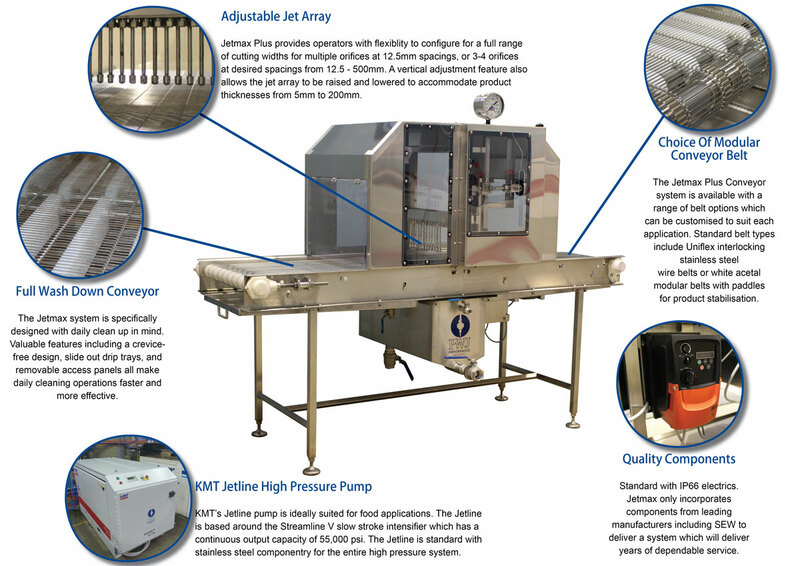 Typical waterjet installations save up to 7 people per shift compared to hand cutting operations. Maintenance is also virtually eliminated, with no need to change blades or sharpen cutting tools. 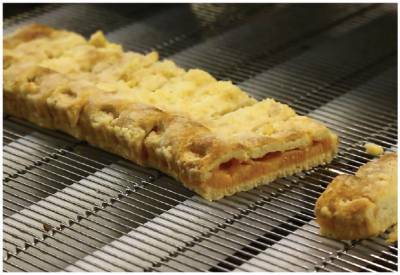 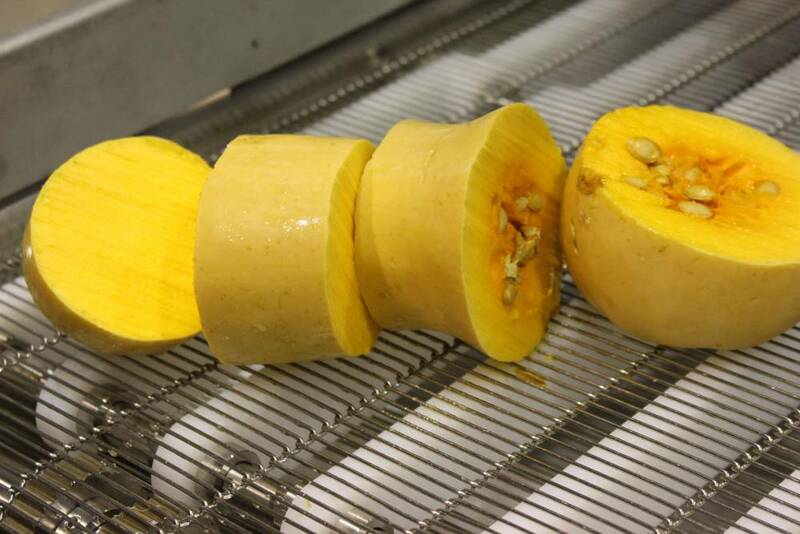 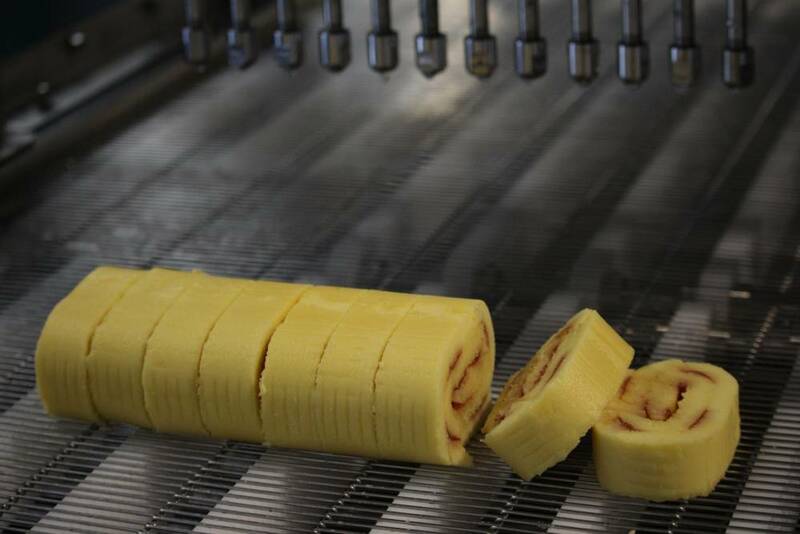 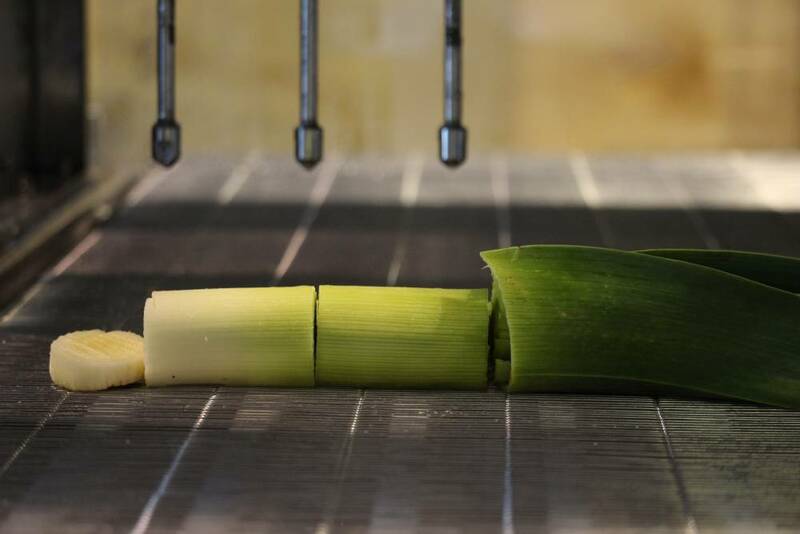 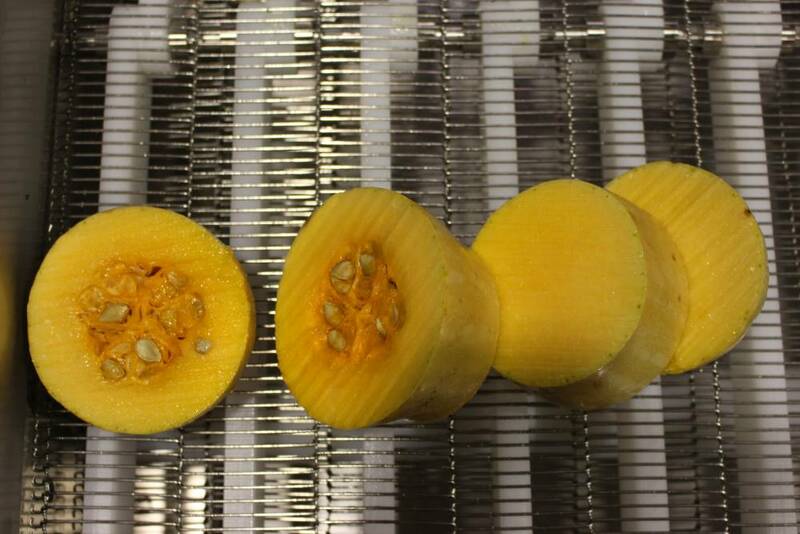 Waterjet system excel at cutting product with uniform consistency throughout its thickness, such as many foods. 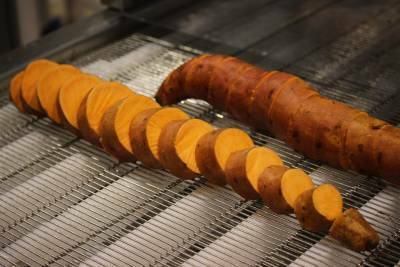 Today, waterjet is being used on a global scale in the food processing industry to cut many products including frozen foods, fresh fruit and vegetables (e.g. 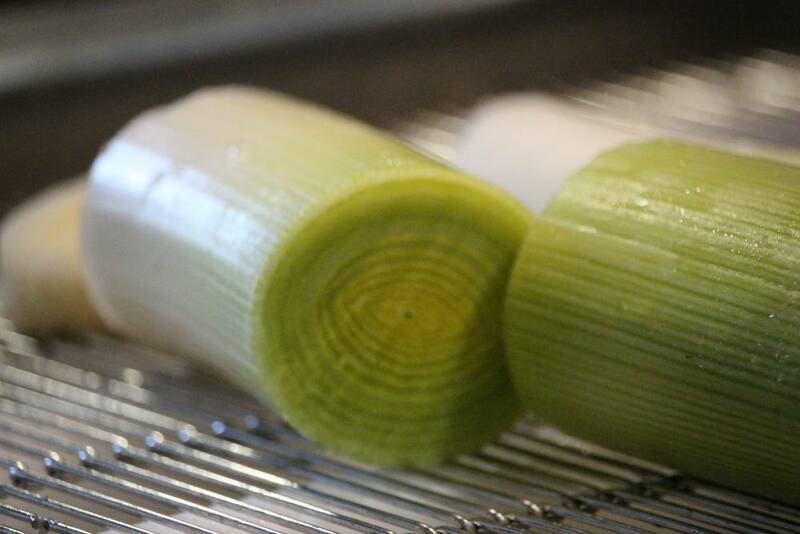 celery, leek & rhubarb), cheesecakes and slices, meat products (e.g. 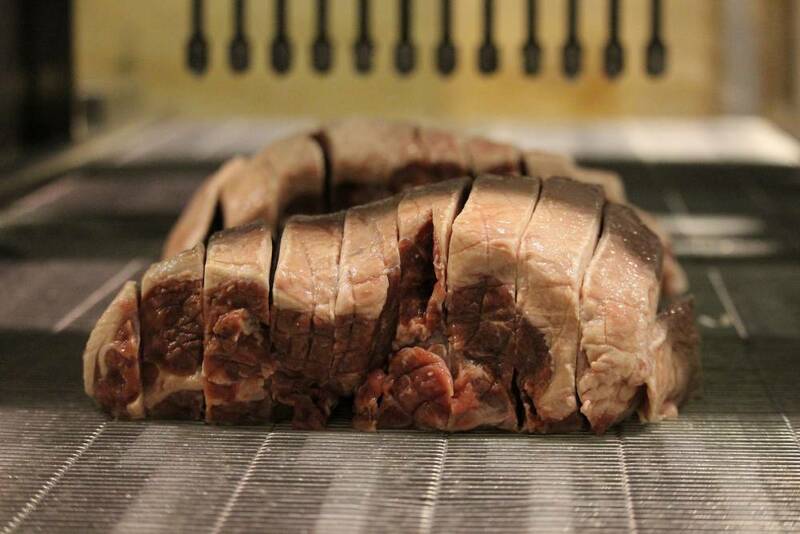 beef, pork and lamb steaks, fish, chicken) and fruit leather.